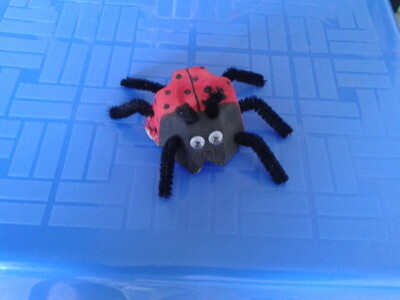 This activity is a simple activity using egg cartons to create a cut ladybird. 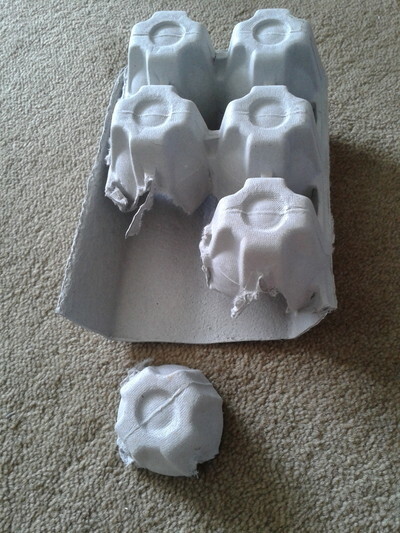 Cut an egg carton such that it has even borders. Inverted, it should be able to stand flat. Draw a line on top such that one portion is slightly more than half. 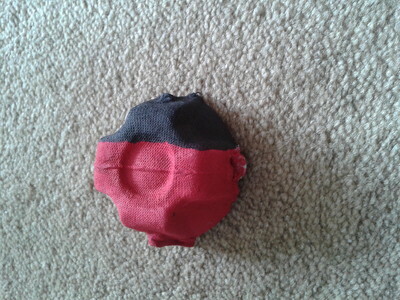 Paint the smaller portion in black and other in red. 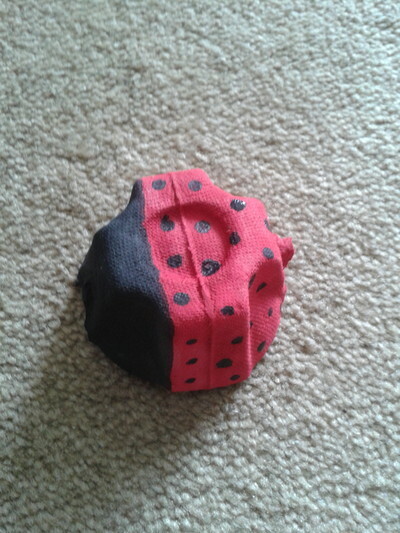 Black will be the head portion and red will be the body of the ladybird. On the body, draw a vertical line through the centre in black. On the head, mark the place where you will glue the eyes. 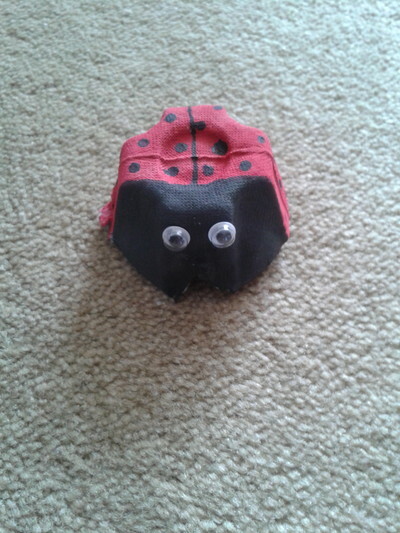 Glue the googly eyes. Exactly above that, make 2 small holes for the antennae. Use a pointed scissor with blades closed to make the holes. Here, I would advise the parent to step in. Also make 6 holes, 3 on each side, on the lower part of the body for the legs. 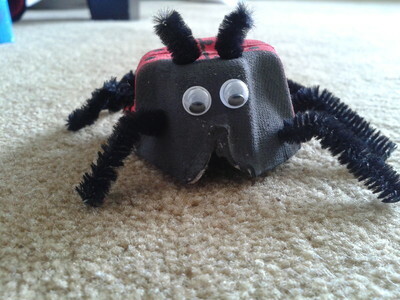 Cut 6 equal portions of the pipe cleaner, 2 inches long for the legs and 1 inch long pieces for the antennae. Just put a drop of the liquid glue on the holes and pass the pipe cleaner through the hole. Once dry and stable, bend the legs to give the bug-like look. 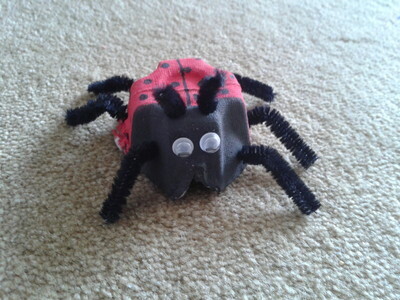 Your creepy crawly ladybird is ready. 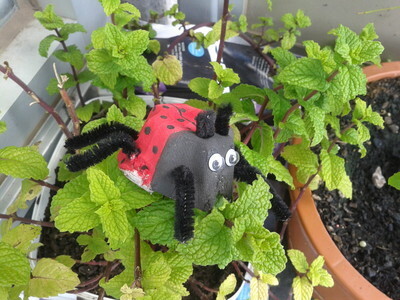 Who is crawling on my plants? What's your favourite burger chain?